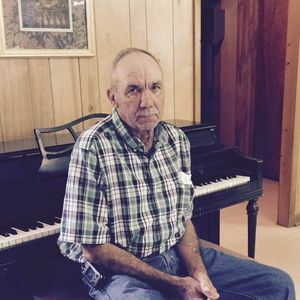 Donald Bruce Edwards, 68, of Bladenboro passed away on Sunday, February 17, 2019. He is preceded in death by his sister: Karen Johnson and grandparents: Mattie and Dellon Edwards. Donald leaves behind his mother: Christine Johnson of Bladenboro; one daughter: Crystal E. Floyd and husband Ronnie of Cerro Gordo; special friend: Gail Edwards of Bladenboro; one brother: Gary Johnson and wife Dawn of Abbottsburg; one sister: Barbara Ann Thompson and husband George of Clarkton and six grandchildren: Isabella Floyd, Ryker Floyd, Rowan Floyd, Ronnie Floyd Jr., Seth Floyd and Anna Floyd, all of Cerro Gordo. The family will receive friends from 7-9 pm on Thursday, February 21, 2019 at Bladen Gaskins Funeral Home in Elizabethtown. A funeral service will be Friday, February 22, 2019 at 3:00 pm at Bladen Gaskins Funeral Home Chapel officiated by Rev. Chris Carlisle. Burial will follow the services in the Blue Field United Methodist Church Cemetery in Clarkton.